April is Prevention of Cruelty to Animals Month. The ASPCA (American Society for the Prevention of Cruelty to Animals) is urging supporters across the country to help raise awareness about animal cruelty. One of the worst forms of animal cruelty is dog fighting. In honor of National Dog Fighting Awareness Day (NDFAD) which was on April 8, the ASPCA spearheaded a campaign to GET TOUGH ON DOG FIGHTING. The war against dog fighting is a battle that cannot be confined to just one day or one month. It’s an ongoing battle that requires everyone’s awareness and support to win. If you think animal cruelty and dog fighting don't negatively impact you or your family you are mistaken. ** Statistics show that approx. 30% of children who have witnessed domestic violence have in turn abused animals. ** There's a strong link between animal abuse and violence against people. Animal abuse is known to be an early indicator of abuse against people as well. Social services agencies are trained to recognized the signs of animal cruelty in children and determine whether or not the abusive behavior is a warning signal. ** There are links between dog fighting and gang activity as well as other criminal activity such as drug trafficking and illegal firearms possession. ** Most violent criminals have a history of animal cruelty. David Berkowitz, the Son of Sam killer was reported to have poisoned his mothers parakeet. Eric Harris and Dylan Klebold, perpetrators of the horrific Columbine High School shooting had mutilated animals for fun. 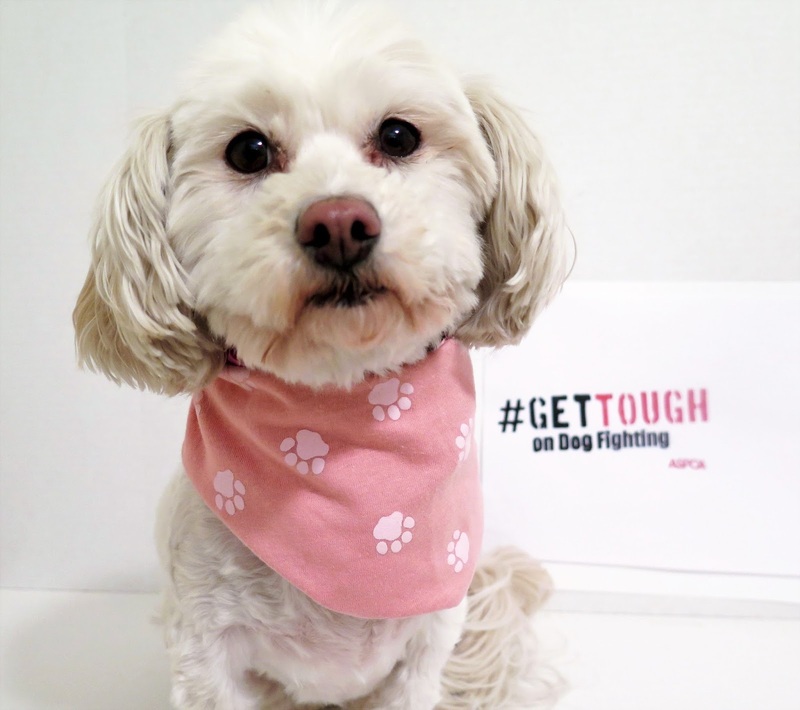 Phoebe wants us all to Get Tough on animal cruelty! Although Dog fighting is a felony in every state in the U.S. this barbaric act of cruelty still goes on. Animal abuse, including dog fighting, doesn't just hurt helpless animals, it hurts people and communities. Tougher laws and punishment against all animal abusers are needed. Visit the ASPCA's web site for ideas on how you can help here: help prevent cruelty to animals . Please share this message in support of ending Dog Fighting and animal cruelty. Thanks for doing a post to help raise awareness to this terrible fact of life. You're right, it is a terrible fact of life. Continually raising awareness is important. Thanks for stopping by today! This is one of the most brutal and senseless acts that humans can engage. I don't even try to understand the depth of depravity it takes to harm an animal. Thanks for taking a stand. You're so right, I can't understand how any human being can take pleasure in hurting a helpless animal It's cruelty and cowardice as well. Thanks for stopping by M.K. 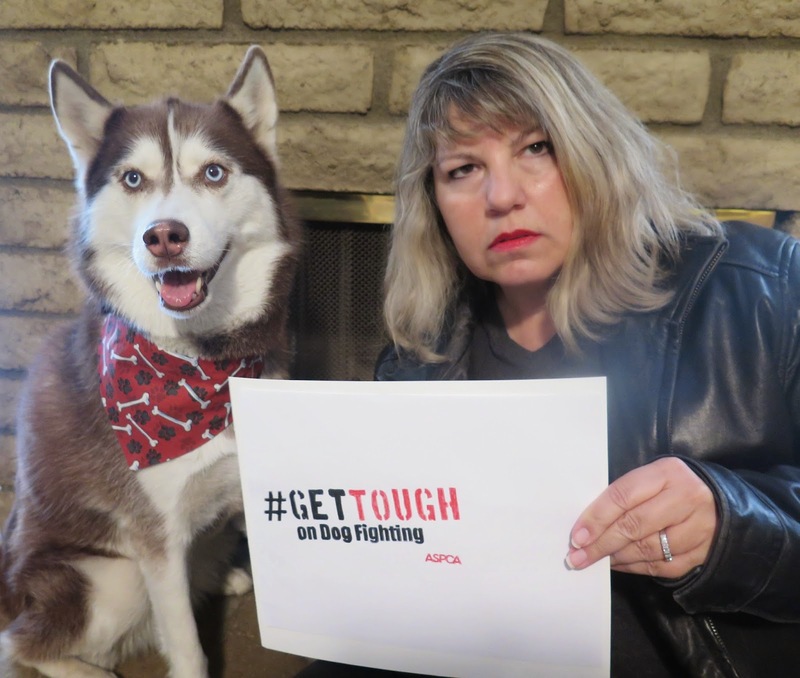 Our pack joined the ASPCA initiative of getting tough against dog fighting. We are extremely outspoken about animal cruelty and don't shy away from alerting local law enforcement whenever we witness the slightest form of it. Good for you! I'm so glad you have joined the fight against animal cruelty and that you are making a difference. Thanks for visiting us on the blog today! Thanks so much for joining the fight against animal cruelty! Thanks for stopping by today! Thank for your help bringing awareness to this! It's such a terrible problem, we have to do all we can to raise awareness and put an end to it! Thanks for stopping by today, Jenna!